This 198-room Spring Hill Suites by Marriott hotel opened in November 2009. The 8-story Hotel is within walking distance to the newly designated “Health District” area of downtown Miami. This site is in the midst of one of the most active development areas in South Florida with a limited availability of vacant tracts for development. The Hotel is readily visible to, and easily accessed from the 836 Expressway and I-95. The guestrooms and public areas of the Hotel are built above a covered parking garage. The site is within walking distance to the Miami Health District campus which is comprised of the Jackson Memorial Hospital System, Bascom-Palmer Eye Institute, the University of Miami Medical School facilities, the Miami Project to Cure Paralysis, the VA hospital and the Miami-Dade County State Attorney’s Office. Development plans around the Property are extensive, and include the $600 million University of Miami Teaching Hospital, the $1 Billion dollar plus Miami Biosciences Center and numerous other ancillary health care facilities. 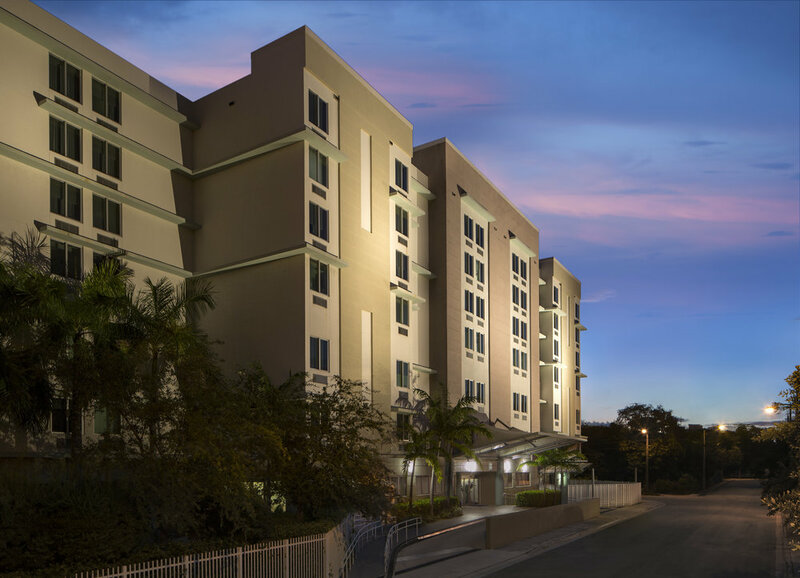 This Project represented an excellent opportunity to add quality hotel accommodations to the flourishing Miami Health District that is currently devoid of any quality hotel rooms.